This recipe serves 8 – 10 people. Prepare the cheese cream by heating up the cream with the gorgonzola and pecorino, until they are melted. Soak the dried porcini in the hot water for 5 minutes, then chop them roughly. Save the water. Melt the butter in the pan, then add the flour and stir it for 1 minute. Start adding the mushroom water and milk slowly, stiring until boiled. Add the seasoning and chopped mushrooms. Rest it on a side. Mix the cheese cream and the mushroom bechamel together. Bring salted water to boil in a large pot, then add 500g of Rummo Lumachine pasta and cook for 6 minutes. Strain the pasta. 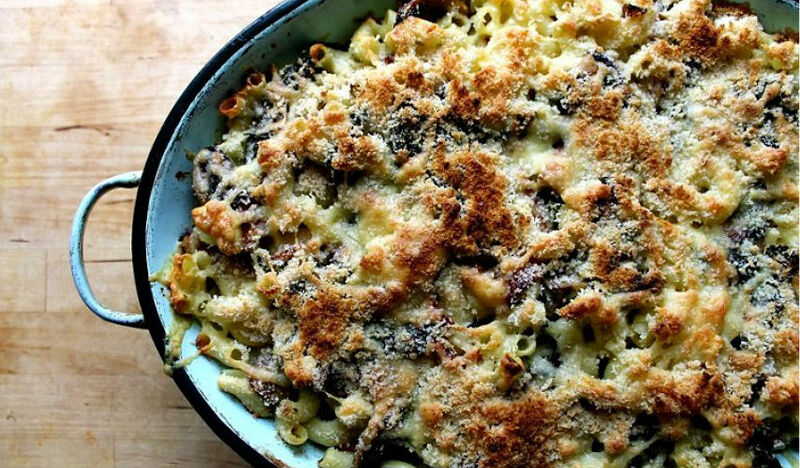 Mix the pasta with the cheese and porcini cream and place them in a large tray, sprinkle parmesan or pecorino on top and finish it in a preheated oven at 180°C for 10 minutes.